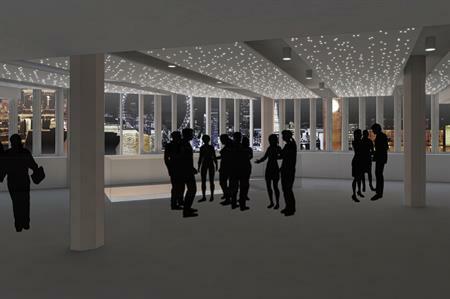 London's QEII Centre is transforming its 6th floor into an open-plan banqueting space, as part of its £12m refurbishment. Work will commence on the area later this month and be completed by September, when the renovated space will be revealed at a dinner to celebrate QEII Centre’s 30th birthday. The ongoing programme of refurbishments are focused on improving the customer experience and opening up the venue to a wider variety of events including banqueting, awards ceremonies, cocktail parties, product launches and other corporate and private special events. Chief executive at QEII, Mark Taylor, said: "As we celebrate our 30th anniversary we are looking to the future and the next 30 years. We wish to further cement our position as one of London’s leading hubs for event diversity, creativity and innovation while maintaining our international reputation for conference excellence. The renovation of the 6th floor is an investment in our vision and will further our ability to host outstanding events that celebrate our position at the heart of Westminster and give event planners a new and exciting option for banqueting and special events." The renovation of the 6th floor will give event planners greater flexibility, with a retractable wall opening up the Mountbatten room into one large, open-plan floor. The space will include a glazed elevation providing views of the Thames, Big Ben and the Houses of Parliament, the London Eye and the Shard.